Hoping to catch a World Series game this year? Be prepared to cough up a pretty penny. 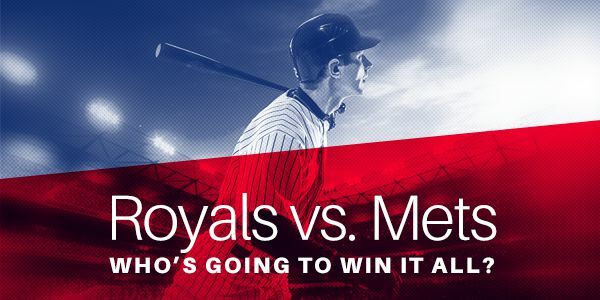 With the New York Mets and the Kansas City Royals preparing to battle it out in the Fall Classic beginning tonight, both clubs are already posting extremely high ticket prices on the secondary market. Neither team in the hunt has claimed a World Series title since the Mets did it back in 1986, and those long droughts have sent resale ticket outlets into a frenzy ahead of this year’s series. Simply put – when losers win, fans break the bank. According to TicketNetwork, tickets for the 2015 World Series will be some of the most expensive World Series tickets ever sold on the secondary market. Tickets for Mets home games at Citi Field have sold for an average price of $841.33, on TicketNetwork.com. That’s pricy, however Royals World Series tickets for games at Kauffman Stadium have sold for $886 per ticket, on average. It has been a trying time for Mets fans over the last three decades. The franchise has dealt with several notable blunders since their last World Series win in 1986 – Bobby Bonilla’s never-ending contract, pitcher Kenny Rogers season ending walk-off walk in the 1999 NLCS, and Carlos Beltran’s strikeout ending the Mets season in game seven of the 2006 NLCS – but there is a momentary erasure as they prepare to play on baseball’s biggest stage. Rookie phenom Noah Syndergaard has already proclaimed his team this year’s champion, too, so expectations are big in Queens. And who would’ve thought the Mets would represent the National League in the World Series this year? No one, that’s who. The Royals last took home the Commissioner’s Trophy in 1985 and would follow their success with a surplus of losing teams throughout the ‘90s and ‘00s. The past two years have been different, however. The Royals won 89 games last season before posting 95 this year – their highest since winning 97 in 1980. They fought the Giants in seven World Series games last season, giving them ample experience in the eye of the national media. Factor in the Mets’ longstanding postseason woes, and there exists the opportunity for one loveable loser to take their first title since Ronald Reagan’s presidency. The World Series kicks off tonight at 8:00pm EDT at Kauffman Stadium in Kansas City, with Edison Volquez taking the hill for the home club, while Matt Harvey will get the ball for the Mets. So far this postseason, Harvey has gone 2-0 with a 2.84 ERA, while Volquez has gone 1-2 with a 4.32 ERA. If you are interested in purchasing last minute World Series tickets, you can find them right here on a right here on TicketNetwork.com.